Recognising the UK’s pioneering role as a world leader in youth culture and self-expression, the Museum of Youth Culture project by YOUTH CLUB celebrates our rich tapestry of social movements, subcultures, sounds and styles that span the generations and genres of post war Britain to modern day. We worked with YOUTH CLUB to create a bespoke exhibition for the Leeds International Festival 2017. Set in a meanwhile space at Leeds Dock ‘Unity through Subculture’ explored the power of fashion, music and self-expression to forge a vital common thread amongst young people and break down walls in a world of increasing unrest. Cult photographer Gavin Watson spoke about his seminal work on one of the most misunderstood youth subcultures – Skinheads – and his contemporary work for brands such as Dr. Marten’s and Ben Sherman. We worked with Dr. Marten's to host their recently launched VR experience that allowed viewers to virtually visit their factory and see the production process of their legendary boots. We invited visitors to add their shop / club / gig space recommendations and locations to a map of the city and provided a questionnaire that painted a picture of their influences and subcultures in Leeds. We asked the guys behind The Hip Store, the city's cult fashion outlet, about key garments that defined eras or subcultures over their 25 years in business and created a wheat paste mural to display them. Huge thanks to partners Leeds BID, Leeds International Festival and Dr. Marten's for their support. 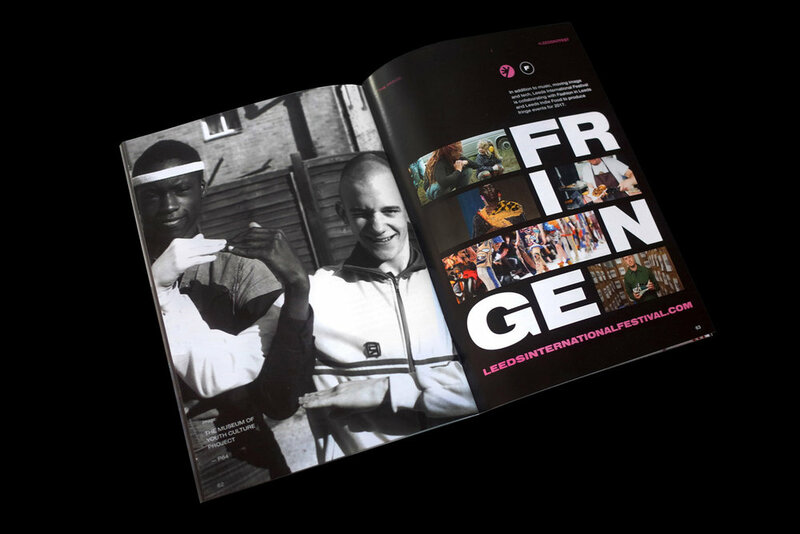 'Unity Through Subculture' was part of the Leeds International Festival's (LIF) Fringe events and came under the Fashion In Leeds programme. Gavin Watson's imagery was used prominently in LIF promotional materials. 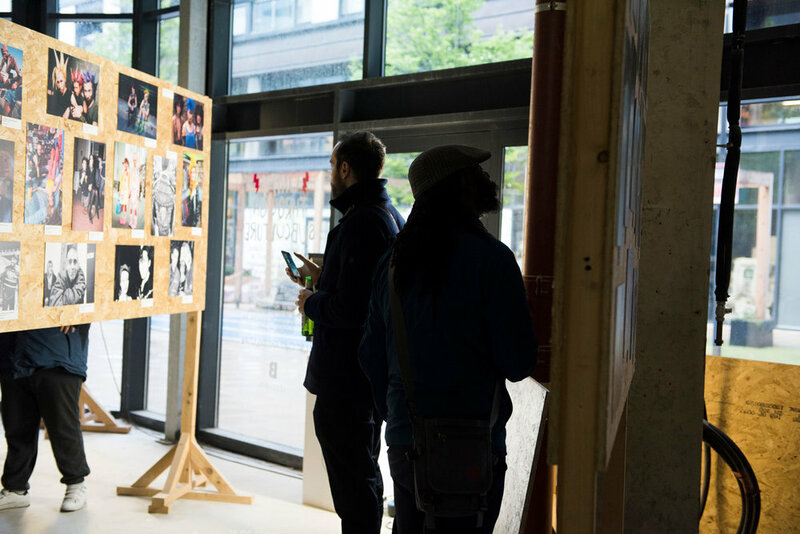 By posing simple questions and providing prompts visitors were encouraged to share their 'Collective Memories' of first gigs, favourite record or clothes shops or hang outs, building over time a picture of subcultures in Leeds. We created a questionnaire to gather information about Leeds subcultures and invited visitors to the exhibition and the Fashion Space containers to get involved. We also recruited key Leeds icons to fill them out. 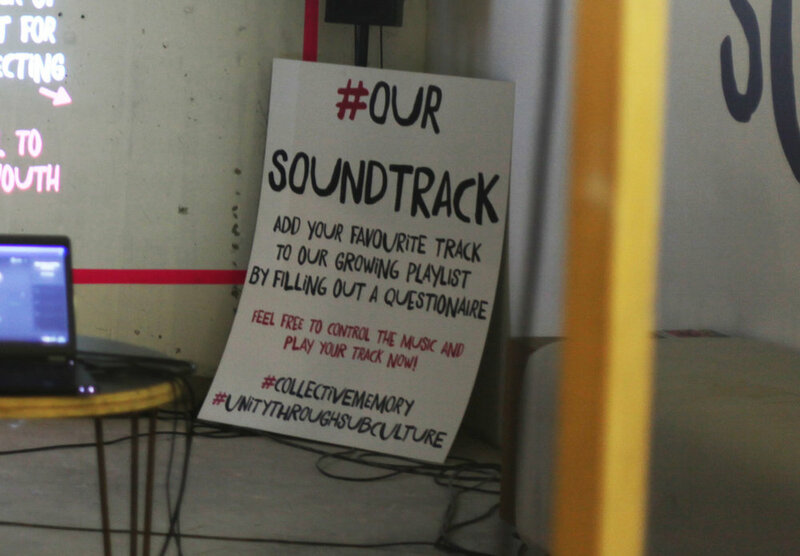 We invited visitors to add an iconic track, that summed up the subculture they were part of, to a Spotify playlist. You can hear it here. We asked the guys behind The Hip Store, the city's cult fashion outlet, about key garments they felt defined eras or subcultures over their 25 years in business and created a wheat paste mural to display them. We approached Dr. Marten's, a staple subculture fashion accessory, and invited them to bring their recently launched VR experience to Leeds allowing visitors to step inside the famous DM factory and see how the legendary boots are produced. As part of the Leeds International Festival's (LIF) Fringe Fashion In Leeds programme we took over the Fashion Space containers on Briggate, Leeds prominent shopping street..